I love the outdoors and the industry that has been forged around the pursuit of outdoor adventures. 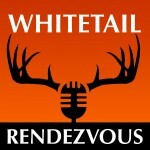 Recently, I became acquainted with Bruce Hutcheon of Whitetail Rendezvous. It is a podcast featuring new episodes six days a week to enlighten those of us who find hearts on fire when we hunt, fish or be outside. I was thrilled and delighted when he invited me to be on a podcast. I told Bruce that when the podcast went live I wanted to include an interview with him and let me be straight with you, Bruce is an amazing man with an amazing story. Nothing breeds success faster than necessity. At the tender age of 17, at his high school graduation, his Dad approached him and said, "Good luck!" and just like that, his dad was gone and he was on his on. Any normal person would have cratered over something like this and use that moment as an excuse for every future failure. But that ain't Bruce! He was an excellent football player and went to University Wisconsin - La Crosse as a track standout. He served in the Coast Guard and later returned to college to complete his Bachelor's degree. He later obtained an MBA degree and has done very well in the corporate world. 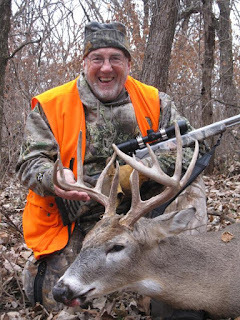 In the outdoor world, he has been published by gohunt.com as well as the Professional Outdoor Media Association (POMA). He has hunted in multiple provinces in Canada and the United States. His first podcast was with none other than Bill Gorman, the grandson of legendary L.L. Bean. His second ever podcast was with the first lady of hunting, Brenda Valentine an honorary member of the Board of Directors for the National Wild Turkey Federation. Before his first podcast aired on August 30, 2015, he had 100 episodes recorded and "in the can". All of these accolades are amazing but what I love and respect most about Bruce is his focus on growing others that sets him apart. In an industry that can be difficult to break into, he does a great job of finding interesting people who are living their passions in the outdoors. He then brings their stories to the world in a 30 minute podcasts. Here is a guy who has done more after retirement than most people do their entire careers. His "Live Life" mentality is contagious! Keep living Bruce and thanks for your incredible podcasts. Be sure to visit Whitetail Rendezvous for a free e-book on food plots for your deer herd. Last week, we began looking at some tips to help you find success just after the rush of spawning is over. As any angler knows, this is a time-frame when bass can seemingly disappear. However, they are not Ninjas. They didn't drop their little smoke balls and run into darkness never to be seen again. They are closer than you think. 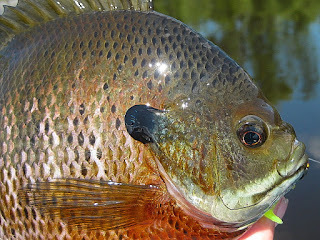 One late April-early May, I was fly fishing for Bluegills (When I could still do this physically). Now I am not referring to the smallish sized bream. I am talking about the bull Bluegill, all dark on top with spectacular colors down the lower flank of the body line. They were sitting on their spawning beds in guard mode and every time my fly would hit the water's surface, it was inhaled immediately. On a little 6 weight fly rod, this is almost better than eating glazed donuts...almost! I had just hooked another nice Bluegill when something that was worthy of the title - the Kraken, Leviathan, Behemoth...you choose please, grabbed my poor fish and began running wildly away. All I could do was hold on and pray that this thing let's go. I had no chance of hooking the larger fish as the fly I was using was a tiny Adams Wolfe. Fortunately, it did let go. I reeled in what was left of my bream. It wasn't good! It look like it had just gone through a nuclear blast. It's eyes were weird and distant. It had lost some of it's color and had areas of almost translucence. Scales were missing where it had been ravaged. This thing needed ICU. Instead it got placed on a bigger hook and thrown right back in. The big bass came right back and inhaled it again. This time I connected and landed a beautiful 7.5 lb bass. I began studying the movements of big bass just after spawn from this experience. The truth is they don't swim that far away. They set up and get over the shock of the riggers of reproduction for a week or two eating sparingly. But once, the funk of baby-making subsides, Big Girl gotta eat! The pond I caught the first one is almost a perfect lab. 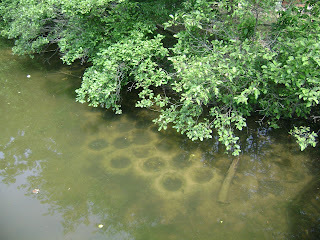 It has clear water and bream that spawn very close to shore. I began noticing very large fish cruising the outer edges of these bedding areas. Sometimes they would run together in packs of two or three. Other times, a single fish would cruise by in the dominant rogue predator mode. Either way, it revealed to me exactly where these Post-Spawn fish hang, near the kitchen. Ok, so what to use? Anything that resembles or mimics the Bluegill. Green Flukes, Stick Baits, Jerk Baits, shallow Crank-baits, Spinner-baits, Swim-Jigs, etc. The Chairman of our Board was burning a Swim Jig and caught two bass without even trying real hard. Just chunk it and wind it as fast as possible and BAM!!! If you like fast fishing with lots of action, this can be one of the most exciting times to fish all year long. Get out there!